Biofuels are already a cost-competitive low carbon fuel option for shipping containing no (or only limited) sulphur. However, a ‘dedicated’ marine low carbon fuel has not yet been developed. 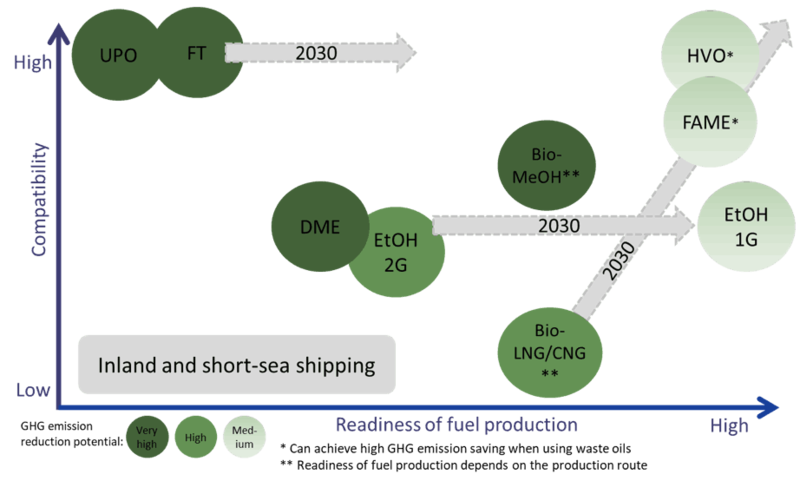 Netherlands Platform Sustainable Biofuels put this message forward in a Presentation Roadmap Sustainable Biofuels for Shipping at the International Conference “Fuels of the Future” in Berlin (22 January 2019). Further technology development is needed for price competitive renewable fuels, compatible with existing engines. New engines and new vessels have new options. 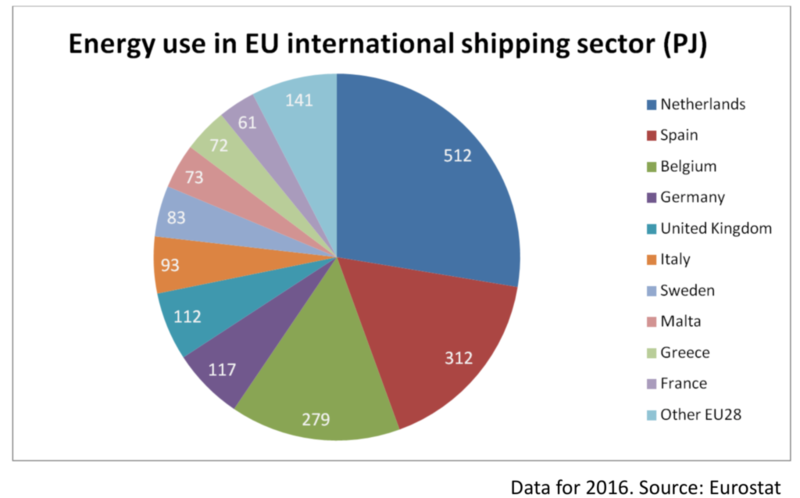 A-typical to other EU Member States, in the Netherlands the annual amount of fuels for international bunkering is larger than the volume for local consumption (in majority for road transport). In Europe, the Netherlands are no. 1 in bunkering for shipping, followed by Spain and Belgium (see graph). 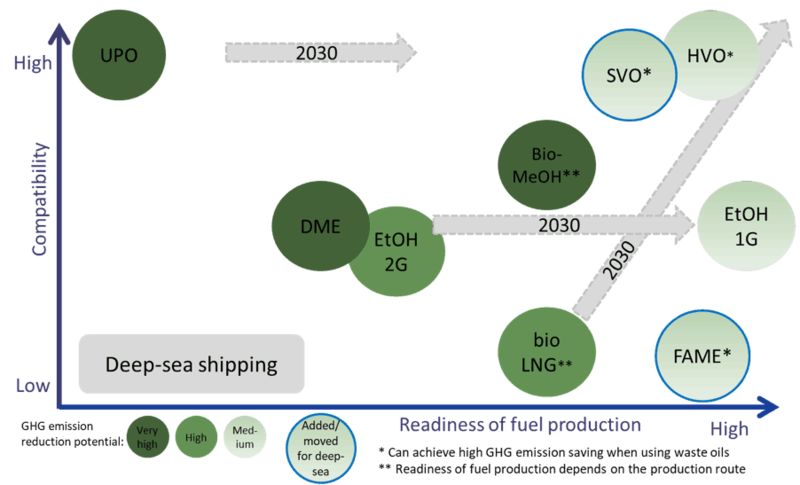 In 2018 the Platform commissioned a review on biofuel options for shipping. International strategy consultancy E4tech executed the study. 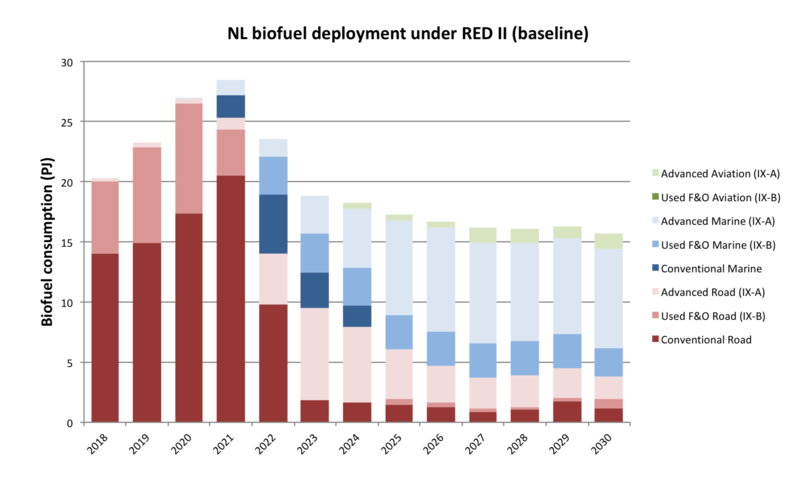 The report Master Plan for CO2 reduction in the Dutch shipping sector – Biofuels for Shipping is available for free. E4tech in the study referred to a recent review of around 150 studies – by Bouman et al (2017). Bouwman et al. 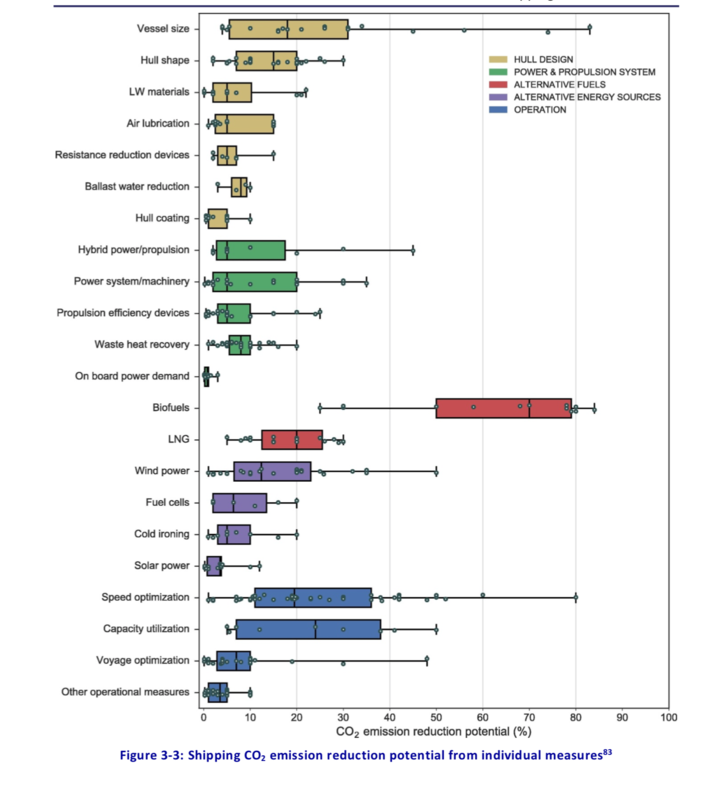 concluded that biofuels have the highest CO2 emissions reduction potential, when compared to other energy efficiency and alternative fuel options. The research report is based on an analysis of University of Utrecht, that has run several scenario’s using the ECN REsolve model.